If you arrived in the Boston area in the mid-1960s for college or similar reason and were interested in what was not yet known as early music, the hot new group in town was the Cantata Singers. Maybe you owned some of the many new Bach LPs from Europe, maybe you’d sung Bach and Vivaldi in high school, maybe you’d even given the BSO and Handel & Haydn a shot but found the experience ponderous. And here was this new upstart group, with its pointed name and crisper and fleeter and lighter ways. What was going on? Who knew that this way lay the future? And how come nobody else in this country sang Bach the way the Cantata Singers’ Karl Dan Sorensen did? All that was a short half-century ago. On Friday September 20th at Jordan Hall, Cantata Singers kicks off its 50th season with a reprise of its November 1964 inaugural concert: all Bach and, as befits the name, all cantatas. Artistic director David Hoose reflects on Cantata Singers’ long history below. David Hoose: With Karl Richter. And Telefunken das Alte Werk had a rival set. We esthetes spent way too many hours debating the relative merits. Was Leo Collins thinking mostly of Bach when he founded the organization and during his three years at the helm? Was it mostly about Bach cantatas? So as long as Leo was in charge it was mostly Bach. It was under his successor Richard Kapp, who was music director for just one year, that some more music was brought in—some Handel or Gabrieli or Monteverdi. But Bach continued to prevail. At the beginning, though, it was novel. Absolutely. Emmanuel music had not started, really. I think John Harbison, who would become music director of Cantata Singers, said to Craig Smith, “Have you looked at this music?” So these pieces weren’t being performed around here. I’m certain there were some, maybe “Ein feste Burg” (Cantata 80) and “Christ lag in Todesbanden” (Cantata 4), that were heard then, and possibly Cantata 131, “Aus der Tiefe,” which begins this concert. But I can’t imagine anyone had heard Cantata 72 except maybe on some recording, although I think that in 1964 only one had been made. Was this at all an outgrowth of the First Church Choir that Collins was directing? No. I think they used the space because he was there. Charlie Husbands, who was a founding member of Cantata Singers and still sings with us, wrote that the minister of the church was part of the concert, that he read the appropriate Biblical texts before the cantata performances. Yes, but not part of a Sunday service. They were concerts, with the focus on the Bach. Did Collins pick the singers or did they choose him? I think the initiative came out of conversations between Leo Collins and George Skillman, who wanted to create a group of singers and instrumentalists dedicated to performing Bach’s cantatas. According to Husbands, Leo and George simply canvassed their musical friends and associates. However, leadership from the ensemble itself has always been central. When the organization was incorporated, in 1965, many if not all of those individuals performed with the ensemble. The early-music movement started in recordings before it started in the concert hall. Yeah, people were hearing these pieces on 33s. They might have considered Bach early music then. Jennifer Ritvo Hughes, Executive Director: I believe that the early-music movement was also spreading its roots in many of the local colleges at that time. For example, Wellesley College purchased its first viola da gamba set in 1963. And because of that, a lot of women began studying the gamba. That’s how Wendy Gillespie began. There’s an incredible generation of gamba players who are Wellesley alums—because they had access to these instruments. I think this was indicative of a broader movement throughout colleges and universities in the region. I notice a lot of young people were founding members of Cantata Singers, including many recent college grads. Cantata Singers no longer evokes just Bach. And I guess it was mostly under John Harbison that that began to change. Hoose: He began to introduce a 20th-century music, including a few pieces of his own, although he was quite circumspect in programming his own music. Hughes: In looking at our repertoire list, I was surprised to see that that the first 20th-century music we performed was a piece by Frank Martin, and that was in the ’60s, quite early on. It was always the sandwich model? Hoose: At first, yes. 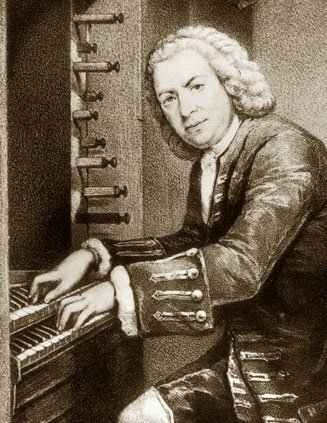 The cantatas were always there, and other composers’ music was usually framed by the Bach. But eventually it wasn’t only Bach. And Joseph Silverstein led an all-Haydn concert as a guest conductor. And then Earl Kim did an all-Mozart concert with a lot of little pieces and the Coronation Mass. No one ever did an all contemporary concert before you did. No. Not until me. I don’t think even John would have done that. But now would you say that Cantata Singers has a definable niche? I mean there are so many superb choirs in Boston, and Cantata Singers is certainly one of the top in anybody’s book, but how does it stay that way? Do you reaudition people every year? It’s not paid, is it? But most of the singers are professional. So what makes them professional? Are they paid elsewhere? A lot of them sing professionally throughout the city and the region, often appearing as soloists. Some teach voice, some conduct other choruses, some have their own chamber vocal groups. And then there are there are the members who earn livings in other ways, as doctors, architects, teachers, and so forth—all of them have enormous musical skills. I think the thing that draws everyone to the group, when you ask, is that they are nurtured by the repertoire, by the challenge. And they’re nurtured by one another, by the fact that the musical level is wonderfully high. So you have generally about 40 singers? 44 is kind of normal. That’s larger than it was in the first days, when there about 23. But you always had singers with blending solo voices, so it was always a big sound even though it wasn’t a large number. So you might say no to somebody who can really sing but doesn’t blend? Well, they need to be able to sing well with others. The blend—better, compatibility—has to be vocal, musical, and emotional. Mainly, there has to be a strong interest in singing with other people. This is a really strong thing. This music, whether it’s Bach or some other composer whose music we’re doing, is what feeds us—the challenges of the music, whether it’s just the music or the intersection of those serious words and very thoughtful music. Something in all of that continues to challenge everybody, and it’s always rewarding. Do you think Cantata Singers does have a distinctive sound? Depends on how big the room is. Exactly. And that’s all fine. There’s no doubt that having 40 in the chorus can make Bach cantatas an interesting challenge. But what that size has allowed us to do is to sing a lot of a much broader range of music, so that we can sing The Creation and the Brahms Requiem and Schoenberg. And we can program Bach cantatas on programs with a lot of new music, none of which was intended for very small groups of singers. It’s this interaction between the old and the new that enlivens us. When you do Elijah next year you’ll grow a bit? Yes, but not by a lot. These singers really sing and they have a beautifully focused sound, so 115 aren’t really needed. Around 50 will work well. 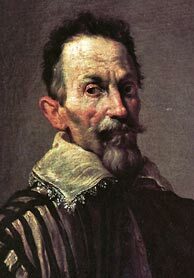 Your second subscription concert is Monteverdi Vespers. How different do you sound in that piece from a piece like Elijah or a Bach cantata? This will be an interesting year—doing the Monteverdi Vespers, followed by Elijah. But this is one of the few groups I know of that could do both in really compelling ways. It’s partly because these musicians have a lot of control over their technique. When the sound needs to be clean and transparent, it’s there, and when it needs to, the sound blooms gorgeously. I heard a concert at the Church of the Advent that included Vaughan Williams’s Serenade to Music. And the Advent Choir sang it absolutely straight, like it was early Anglican church music. And that was interesting and very attractive, but it wasn’t anything like Vaughan Williams would have expected or wanted. He wrote the piece for ripe opera singers. Can your singers be anything on the continuum from boys to divas depending on what’s appropriate to the music? We had a rehearsal last night, and at some point I just said “Okay, no vibrato.” And it was there. But it’s not something I cultivate, because the sound doesn’t have to be devoid of vibrato to be clear, for the harmony to read effectively. Frankly, though, the thing that interests me about music is not sound, but how it breathes. How does it phrase? What’s the design of the line? What is the relationship among these parts? Those are the interesting things. Then, talk about the sound can become part of a larger, more interesting discussion. When we did some Zelenka motets last year, the singers instinctively cleared up the sound on their own, without my saying much about it, because they’re hearing what the harmony and phrases need. But that could happen just as easily in the Brahms Requiem. Exactly. Always nuanced, always changing. It’s not a single color. You always try to find the expressive color that’s pertinent to that piece and, more than that, to the particular moment in the piece. Some of the younger quartets have even brought back portamento. Of course, in Elgar and Brahms. Do you know why Leo Collins chose the three cantatas that you’re reenacting from the 200 or more of Bach? Why these three—they’re not famous ones. I think there were practical reasons, for one thing. I don’t know for sure, but I imagine the fledgling nature of the group had something to do with the choices. Inexpensive, yes. Just oboes, strings, keyboard. That first performance probably used single strings, too. Also, one of the cantatas was a solo cantata, so that relieved the burden from the chorus. One of the cantatas, 131, is chorus-heavy—that is, the argument is carried largely by the chorus—so that gave them something to chew on. Many of the cantatas consists of an opening chorus, a series of arias and recitatives, and a closing chorale, often very simple. So while they make perfect sense in the church service, with a sermon in the middle, they can be odd entities in a concert. But Cantata 131 works well in concert. This cantata, one of the first Bach composed, is balanced by Cantata 72, a fully mature composition from Leipzig but also one with a very modest orchestration. The orchestration shouldn’t be a limitation for the audience. Oh, not at all. This is thrilling music, regardless of size. I’ve done 72 before with Cantata Singers and elsewhere, but I’ve never participated in a performance of 131 or 82. And so to me these pieces are brand-new. They may not be the three pieces you’d choose to inaugurate a new chorus today. No, but they made sense then. They could have said, “Let’s get some trumpets and drums and do something to really show off this new group.” I think it’s interesting that they did just the opposite. There doesn’t seem to have been any interest in making a statement with this concert. Instead, these folks were simply expressing their curiosity. “What is this music? What makes it compelling? Let’s try to figure this out together.” So they started with a very early Bach cantata, 131, and two cantatas from 20 years later. With this music, these singers began to confront the musical language, and not just the musical but the theological language. And the intersection of the two, which is often quite complex. So I think the interesting thing about Cantata Singers, something that struck me about the group before I ever worked with them—and something I hope that remains so after I’ve left—is that everyone’s focus is squarely on the music. And not just the musicians. The board of directors are focused there, too. Yes, of course they want the bottom line to be healthy, but they too are there because of this music. There are ensembles—probably good ones—where the focus is first on each person’s experience, and that is the main thing. Every person in Cantata Singers seems focused on the music. For them, that creates a wonderful experience. I’ll be devil’s advocate here. What about Peter Sellars and Saul, and the Israelites Chorus, and the loose change thrown on the stage floor? Was that just about the music? No. Craig Smith conducted. So I’m not privy to the inner workings of what went on. —a bit of a controversy. Well, Peter was known for that. For pushing at the edges—and at the center. So that is a true story I’ve been telling all these years. I think so. But I know about it only secondhand. Weren’t you the titulaire by then? No. After John Harbison stepped down from the music directorship, Philip Kelsey, a recent Harvard grad, took over for a couple of years. Then John Ferris became music director and had a good run with the organization. And at the end of his tenure I guest-conducted a concert. When Ferris stepped down, I think—I’ve never said this to anybody—I think they thought, “Well, maybe we like David Hoose, but we don’t really know. So let’s ask John Harbison to come back.” Which he did, for two years. During that time, he conducted only one concert each season. Craig conducted one each season—one was Saul, and one was a mixed concert of Bach, Schütz and Reger. And I conducted one each year—Haydn’s Creation and then a concert with Les Noces. And I suppose they finally figured they could put up with me. But when you get Peter Sellars involved it isn’t just the music. Well, Peter would argue with you. He would say, “Everything comes from the music. It begins with the music, it must—and that’s where it comes from.” You know, I understand. But he is not a stage director who has no experience with music and just has an idea about the play the opera’s based upon and applies it, not aware of the way the composer is already commenting on the play. There is, however, no question that Peter has his own strong beliefs. He wants to be noticed for his originality. I don’t know whether he strives to be. He just is. It’s important to remember that, when he directed Saul with Cantata Singers, he was still an undergraduate at Harvard. So how Craig knew him I really don’t know, except that he had done a puppet version of the Ring that received a lot of attention. You’ve had no particular yearning to do opera with this group. Partly because most opera, if it has a chorus, a prominent choral part—Verdi—the forces need to be very large. Or if you want to do Moses und Aron. You could do it unstaged. It’s better in concert than it is on stage. But the chorus is enormous and the orchestra is every bit as large. So the dimensions would change who we are. The largest forces we’ve ever assembled have been for the Verdi Requiem, Harbison’s Four Psalms, and—so central to who Cantata Singers is—Donald Sur’s Slavery Documents. But these have been exceptional. And even with these pieces, the point of reference for all of us remains Bach. Monolithic is how I think of these works. Are players in the orchestra going to be completely different between that and Elijah? There will be a tiny overlap of people who play both modern instruments and historic instruments. 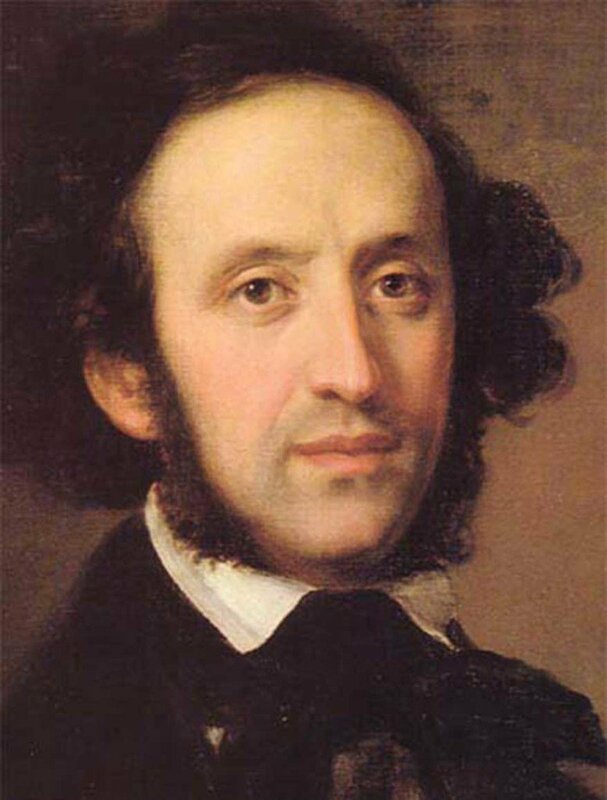 But the Monteverdi performance will include sackuts and cornetti, instruments that don’t overlap with what Mendelssohn asks for. Who does your orchestra bookings? Joan Ellersick. She’s a wonderful violist who plays with many organizations around town. So she knows how to put a good band together that’s appropriate to a particular repertoire? Oh, yes. And we always have rather detailed discussions about whom to invite to play. Yes, a couple of them will play both in the Monteverdi and the Mendelssohn. But Boston is filled with musicians with this kind of skill and flexibility. Do you give the orchestras a name? Is it the Cantata Singers Orchestra? Or has it always been sort of anonymous? Sometimes when we refer to the organization as Cantata Singers & Ensemble. And I like that name—it’s a little cumbersome, and there are a lot of places where the full name doesn’t appear—but it really suggests the importance of the ensemble. Besides, we’ve done purely orchestral works, like the Haydn symphony last year. There was no chorus on the entire program? We’ve never done a purely orchestral concert. But last year we did the Mozart Ave verum corpus, a Haydn symphony, and a Zelenka mass. And a few years ago, we did the Kurt Weill Second Symphony and the Violin Concerto. Or Boulez’s Sur incises, for three pianos, three harps and three percussionists. A perfect companion to Stravinsky’s Les noces. On all of these programs there have also been substantial choral works. Are the soloists all still taken from the chorus? Not necessarily. But again the quality of the chorus is such that many of the soloists are able to come from the chorus. All of them for this concert are, except for Jim Maddalena, who’s sung with us on a number of occasions but is now off in another stratosphere. In Elijah, some will and some won’t. But Elijah himself will be? 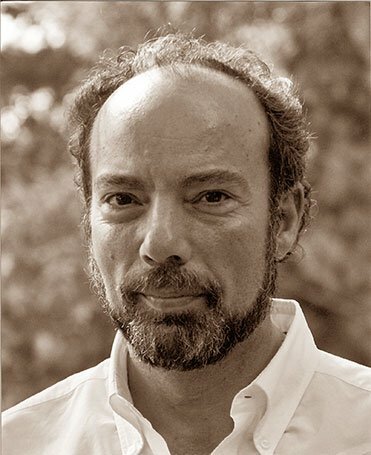 Elijah will be sung by a longtime member of the chorus, Mark Andrew Cleveland, a wonderful bass-baritone who has been with us for 20-some years. Are you doing it in English? No, German. For the longest time I thought there was something wrong about the piece. But I think that’s because I knew it only in English. But it did premiere in English. But the way words group in German is very different from in English. I had this telling experience many years ago. We were doing The Seasons in German, and I was auditioning some soloists. A soprano showed up with only an English score, so we began to work. “Can you phrase it this way, can you shape it that way, what about this?” But it was really tough getting the design right, and I couldn’t figure it out, since I knew she was a fine singer and musician. Finally, I just said, “Would you just take this German score, please, and just read it?” Suddenly, everything was fixed. If you compare the German and English scores of Elijah, you begin to see that even though most of the accents are in the right place, the emphases still fight with the emphasis in the musical phrase. If nothing else, all the verbs are in different places, and with the English there is often a very weak ending of a sentence that contradicts the strong impulse of the musical phrase. And then there are the vowels! Even those are built into the musical language. So I’m very excited to be exploring Elijah this way. It seems to be done in German more now. I think the sound of the piece is right. I was criticized the first time I did The Creation here in German. Richard Dyer said, “It was a beautiful performance, but why isn’t he doing it in English? Everybody knows it in English,” or words to that effect. The second time we did the piece, again in German, he didn’t mention the choice of language. He didn’t thank me, but he didn’t criticize me. He just reviewed the performance. So things change. I was comparing the Carus vocal score of Elijah, which includes both the English and the German texts, with one that contained only the German; otherwise they look exactly the same. I quickly decided that we needed to use the German-only score. I don’t want to ask everyone to unlearn the things they knew when they sang it those ten times in English, and when it’s staring you in the face, it’s hard to ignore that ingrained inflection. In French or German Elijah rocks.